Are you heading to PAX West happening August 31st – September 3rd? Sega is, and they’re bringing along a bunch of games to show off to attendees at Booth #2513. In addition to the game demos you can also stop by the Sega booth for a chance to see Norio Furuichi, producer of Shin Megami Tensei Liberation Dx2, a new SMT mobile game that just recently launched in English. Games isn’t all Sega has up their sleeve however, they’re also planning a panel hosted on Saturday, September 1st, in the Wyvern Theatre titled “A SEGA Perspective: Bringing Japanese Games to the West” If you can’t make it to the panel, don’t worry, it’ll also be streamed on Twitch. Whether ancient wars, racing hedgehogs or dancing thieves are your cup of proverbial tea, the SEGA booth at PAX West has got you covered! Hot off the heels of Gamescom, SEGA are bringing seven of their most anticipated titles to the PAX West 2018 show-floor at Booth #2513, including Total War: THREE KINGDOMS, Team Sonic Racing, Valkyria Chronicles 4, Fist of the North Star: Lost Paradise, Shin Megami Tensei Liberation Dx2, Persona 3: Dancing in the Moonlight and Persona 5: Dancing in the Starlight. First off the blocks as always is the blue blur himself. 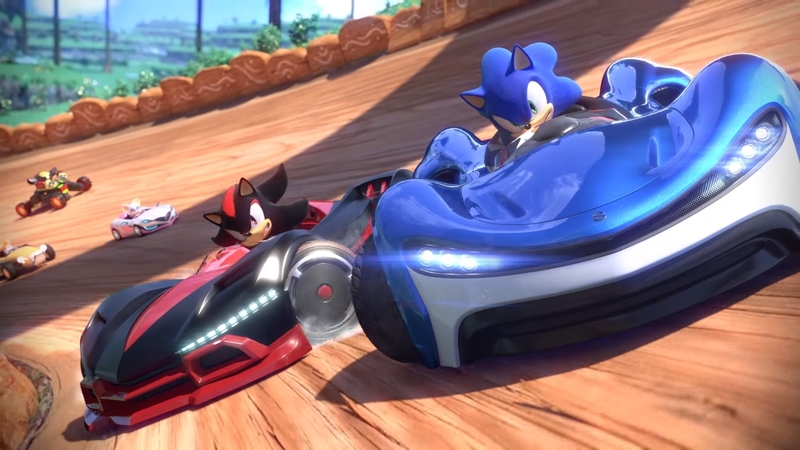 Team Sonic Racing, developed by the award-winning studio Sumo Digital, combines the best elements of arcade and fast-paced competitive style racing experience, featuring your favorite characters from across the Sonic Universe. Visitors at PAX will have the opportunity to race on the newly revealed track Ice Mountain, and play as Team Sonic, Team Dark, Team Rose or Team Vector. The latest in Creative Assembly’s legendary Total War series, Total War: THREE KINGDOMS is set to showcase some exciting content of its own. The hands-on demo will give players the opportunity to explore the exotic lands of ancient China in a campaign map flythrough before being thrust into the midst of a night-time ambush battle. Sun Jian’s army, led by Sun Ren and Sun Quan, face either a desperate defence against waves of incoming heroes and warriors or a gruelling fight to escape with what remains of their forces, and live to fight another day. As if that wasn’t enough, SEGA is bringing a whopping four games to the show floor! With tactical RPG Valkyria Chronicles 4, frantic action/adventure Fist of the North Star: Lost Paradise, and the hugely anticipated rhythm games Persona 3: Dancing in Moonlight and Persona 5: Dancing in Starlight, they will be hosting a collection of some of the hottest Japanese IP on the planet. Make sure you leave yourself enough time to play everything! Last but by no means least is Shin Megami Tensei Liberation Dx2 which after a successful initial release in Japan, has just launched worldwide in English so that all fans of the Shin Megami Tensei series from ATLUS can finally play the renowned post-apocalyptic RPG on their mobile devices. Swing by the SEGA booth’s presentation stage for a chance to see one of the daily appearances by Producer Norio Furuichi, who also previously worked on “Virtua Tennis” series and “CYBER TROOPERS VIRTUAL-On Force”. Don’t miss SEGA’s panel, featuring director of localization Sam Mulle, associate localization producer Andrew Davis, and EU PR Manager Sarah Wellock as they reveal previously untold secrets and nuanced details about how Japanese games are localized and published for the western audience. For those not at the show, you can view this panel at twitch.tv/pax3. SEGA will be holding rotating stage presentations every half hour for the duration of the show at Booth #2513, showcasing all seven of these exciting new titles, so be sure to pay us a visit! For more information about SEGA, log on to www.sega.co.uk, www.sega.com, or follow us on Facebook and Twitter.